First launched back in 2010, the Nissan Leaf was one of the first mass-produced electric cars and has gone on to be one of the most successful. 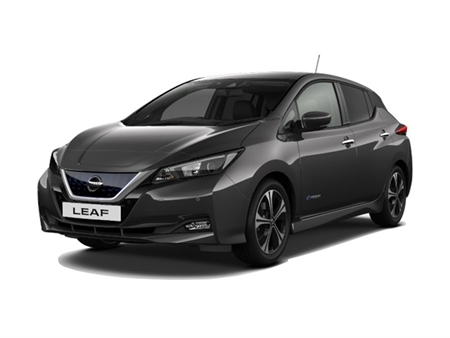 In 2018 the Nissan Leaf was the best-selling electric vehicle in Europe, and as such there are a lot of attractive lease options available. The Leaf has developed a lot since it was first introduced in 2010, and it is now capable of up to 239 miles on a single charge. It can also come with automated 'driver convenience' technology called Nissan Propilot, built-in Sat-Nav, Android Auto and Apple Carplay and much more. However, all of these features are dependant on the Nissan Leaf model you opt for. First of all, Nissan models currently come with two different battery options: 40kwh and 62kwh (the Leaf e+). The 40kwh options are capable of up to 168 miles per charge, and the 62kwh Leaf e+ versions are capable of up to 239 miles per charge. Below we have identified the best lease deals currently available for the Nissan Leaf. These results were last updated in March 2019, so be aware that some of the information below may now be inaccurate. All lease prices listed below are monthly payments over a 48-month lease term.